One of my favorite products is my Happiness Incense blend. 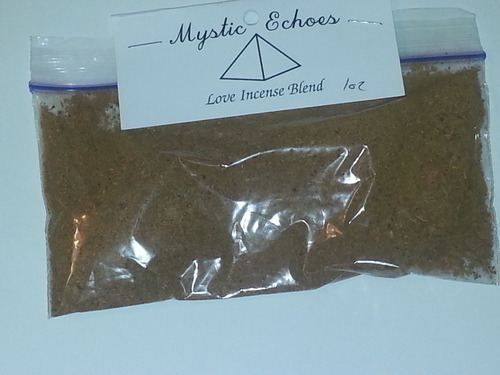 It became a major part of my cleansing rituals and workings for a long time because of how effective it is in magic. 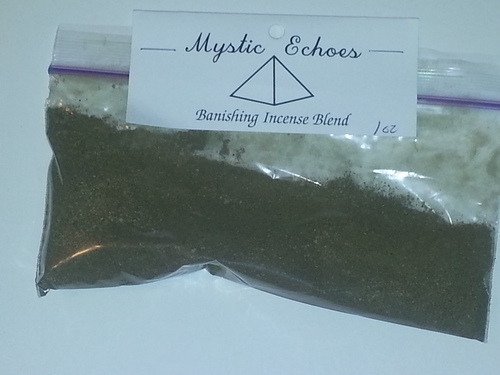 Its also a very uplifting scent. 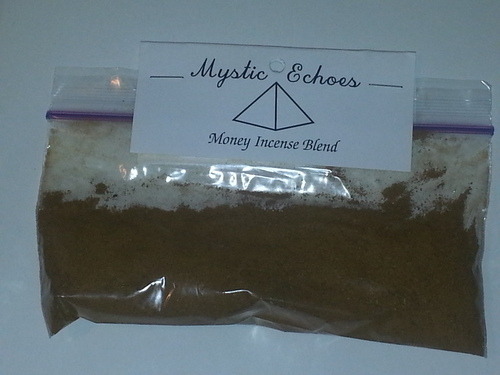 I’ve found that the potent spirit powers in this blend make it work with very little needed for a single working. Which means the half ounce packets should last you a while. 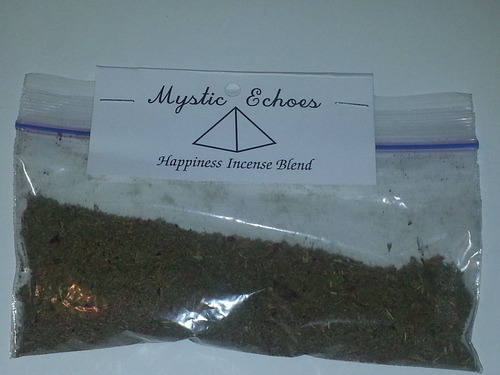 So how do you work with the happiness incense and powder? I personally like to use it sprinkling it around my home after a full house cleansing to invite happiness and peace into the home. I go through each room stating a prayer for happiness and peace as I sprinkle the powder. I make sure to get windowsills and into the corners of the rooms. Sprinkling it on the base of the floor to ensure that the room is charged. Often times I also fill the room with a pink light and call on the spirits of the plants to bring peace and happiness to the home.I then draw an invocation and sealing pentacle over the room with my hand to seal in the power. I repeat this in every room. This simple working has brought happiness during some of my most stressful and most depressed days. You could also walk around your property and sprinkle the powder outside as well. This like other powders and oils would double the effect of the working bringing is to be both in the home and out of the home. This working can also be modified for work spaces and single rooms as well. Its all about filling the place that needs the mood lifting with an energetic transformation. There are other ways you could work with this powder as well. You could sprinkle a little in your shoes in the morning with and affirmation or prayer along the lines of :”With every step I take Peace and happiness is my fate.” This is a simple charm which would be practical and effective. Its also one that is hidden and would be based on working with what you have on hand. The goal is about actively bringing and attracting those energetic forces into your life. In many ways this powder is the opposite of Hot Foot Powder which is a working to remove negative forces and force them to leave. This brings about peace and love through an energetic transformation. It is about attracting something rather than removing it. 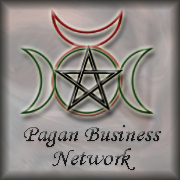 Once again we have a weekly post for the Pagan blog project. This weeks topic is all about spiritual development and practices. Its about why they call it working magic and working rituals and not just reading the material. Today we are going to talk about Effort and why Effort is so important. This is a lesson I have learned myself. Spiritual development and the development of spiritual and magical skills are like every other skill set and practices. You need to actually work at them and practice them to develop them. You can read the theories and some of the exercises and gain a type of knowledge. When you actually want to make the changes you need to do the actual exercises and work in order to have the experiences. I’m saying that you need to put effort into the work. You can’t just do a meditation once and get everything you need out of it. You cant just do a practical exercise a handful of times and expect to get anywhere spiritually. In order to really have mystery experiences with spirits and to really develop skills in meditation and mental focus you need to put in effort. The more effort you put into your spiritual development the stronger your outcomes will be. The more time you put into development of your skills the sooner you will be able to see results. There is a lot of work in spiritual development. In many places you will have to face your darkest sides and deepest fears. This is hard work. This is why it is important to put your all into it. Often there are meditations to meet Gods and Goddesses. The more often you do those meditations the more you will learn from them. The deeper your relationships will grow. These are part of how mysteries are experienced and spiritual truths are found. If you only do the meditations a handful of times your relationships will not be as deep as they could be. Putting effort into your practice and into your studies is going to pay off in the long run. The better you are at learning to enter a meditative state eventually you will be able to achieve the state any where and at any time by using physical triggers. You will also be able to manifest thought changes instantly and be able to know how to train yourself to shift one emotional state into another through working vibrations and other techniques.